Pregnancy is undoubtedly the most beautiful phase of a couple’s life. But preparing for the birth can both be exciting and anxious for the parents-to-be. While the nine months are full of dreams and planning, the final countdown can make the mother-to-be curious, anxious and fearful about labor and the pain associated with it. However, the pain, apprehension and anxiety associated with labor can now be tackled with the help of epidural anaesthesia. While the method is widely accepted and practiced in the western countries, it is relatively new for the developing countries. Effectively evolving as a pain management method during labor, epidural anaesthesia involves injecting drugs and pain killers through the catheter placed near the spinal cord in the spinal canal. As the epidural blocks the excruciating pain it becomes easy for the laboring mother to push the baby. •Epidural anaesthesia is a potent pain management tool that offers better relief than other pain management therapies. •	It reduces maternal hyperventilation and increases the oxygen supply to fetus. •Beneficial for hypertensive women. As laboring woman feels relaxed there is no risk of further rise in blood pressure. •	Post labor recovery is faster as exhaustion does not set in. •Unlike spinal anaesthesia, women who are administered epidural anaesthesia experience no post-delivery headache. •As women experience less pain they are psychologically positive. •	There can be a sudden drop in blood pressure. •As the epidural anaesthesia gets the pelvic floor muscles to relax, baby’s head may not rotate and get down. This may increase the risk of forceps application during normal delivery or a C-section delivery. • As the woman experiences lesser pain, she may need a higher dose of oxytocin to stimulate uterine contractions. Edited by Neelam Goswami on 26-03-2014. 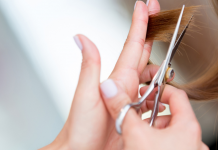 Previous article5 Easy remedies to rid your hair of crawling lice!